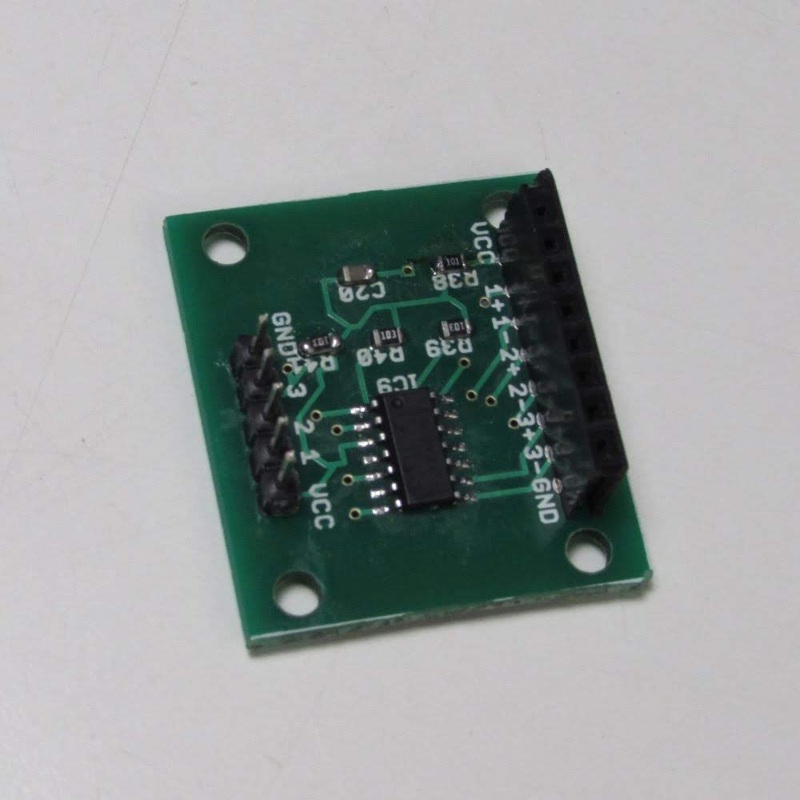 Hall Sensor are pretty common components. Most of the time one will find 3 pin Hall Sensor. But there are time that one can find a 4 pin hall sensor. Those kind of sensor is called dual-channel. 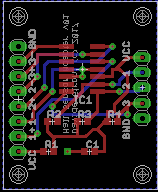 They basically have GND and VCC input, then two output. When a magnetic field is applied a small voltage happears between the two output, reversing the direction of the applied field will reverse the voltage output. 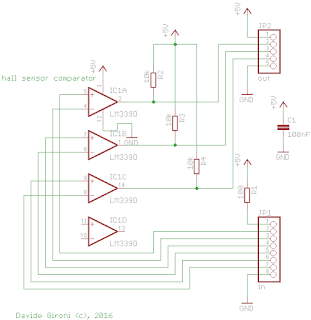 If you want to use that sensor as a switch you have to build a comparator circuit that ouput a signal level. As example, in old cdrom brushless motor those kind of hall sensor are common. To use an old cdrom as a rotary encoder, or to connect the cdrom to a brushless sensored driver, you need to convert the output of the 3 hall senso monted on the cdrom in a logic signal output. The circuit proposed here use a differential comparator to achieve this goal. 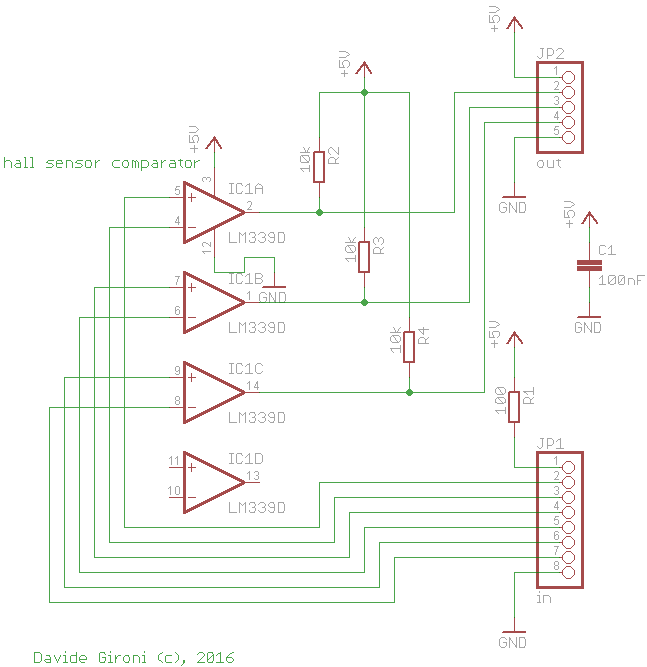 Here you can find the schematic and a board design for this circuit, in Eagle format.